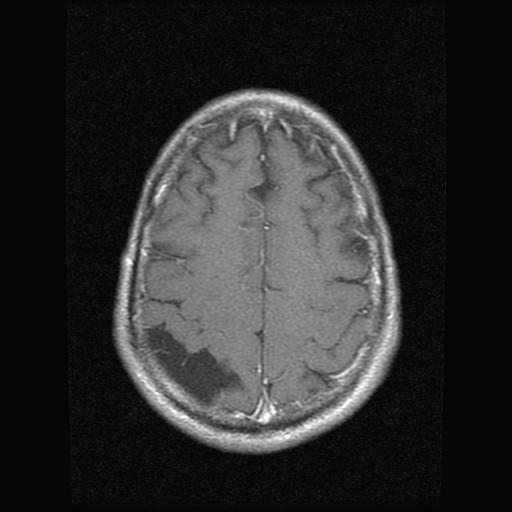 Funnel shaped dark feature near top- back of head appears to be low density consistent with cerebral spinal fluid (pretty much salt water) that surrounds and cushions the brain matter. From this back view we can see the asymmetry in the top left (actual right side). 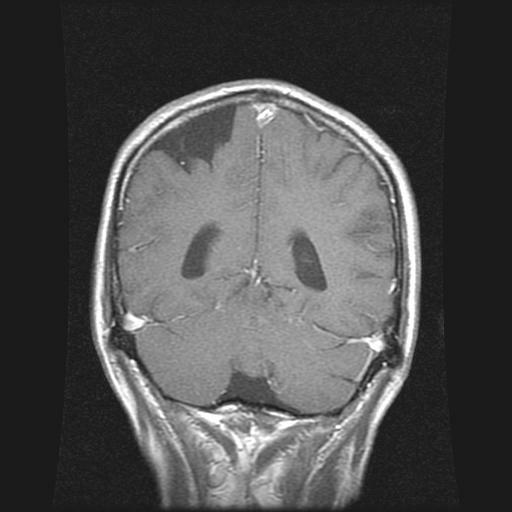 The other dark areas in middle region of brain are part of normal CSF circulation system. This looks more serious than it apparently is. 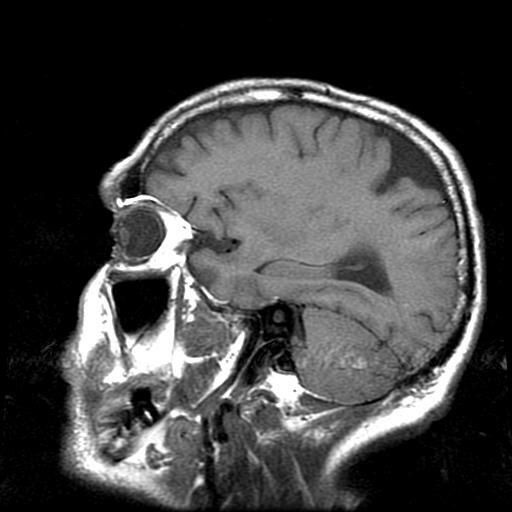 I did get the MRI scans (2/29/08) to diagnose brain related symptoms, and discovered this. Based on the appearance and location this is probably residual from a basketball injury approximately 3 years ago. Head struck the floor pretty hard and after the game I noticed mild concussion symptoms. While the Dr. who read these images made three possible diagnosis. None seems a very good fit to me (infarct, cyst, or soft spot?). I don't even have a good name for it, "CSF pocket"? I call it Lake Stout. They say to take an aspirin and call them in 6 months for more scans (if you're not dead). Another view looking down. Dark area is CSF (salt water). Blood has contrast dye in it, so bone and blood vessels show up white, low density regions indicate darker.